La Cusinga Lodge provides clean and comfortable accommodation facilities. There you will find private cabins featuring bathrooms including hot water showers. All the cabins are designed with hardwood furnishings and decorated with local artwork. These cabins are perfect for accommodating 1 to 3 people together. Nestled amongst the tropical gardens, these cabins allow the guests to stay close to the nature and enjoy watching amazing Pacific ocean views. La Cusinga Lodge property is ideal for enjoying a variety of indoor activities and the surrounding area also offers a lot of options to choose from a variety of fun and adventure activities. You ca go for surfing, hiking, surfing, sup tour, swimming and many more. At the time of hiking, you can also enjoy exploring the natural beauty of the area and watching different species of colorful birds as well as wild animals in the rainforest trails with millenary giant trees. While crossing a bridge over a pristine waterfall, you will experience a thrilling feeling. This lodge area has easy access to the beaches that allows the guests to walk around and enjoy a variety of beach activities. 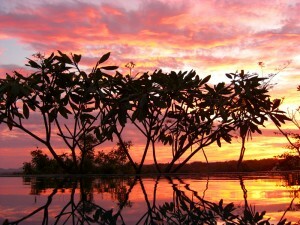 La Cusinga Lodge has a Yoga area where the yoga lovers will love to do their workouts. While staying at this lodge, you can enjoy individual practice or can take help from a local instructor for proper guidance and can enjoy yoga workouts with a group. After completing Yoga session, you can make yourself refreshed, relaxed and rejuvenated by taking spa services. At the time of practicing yoga workouts and enjoying the spa services, you will also enjoy watching the unique view of Bahia Ballena Marine National Park. 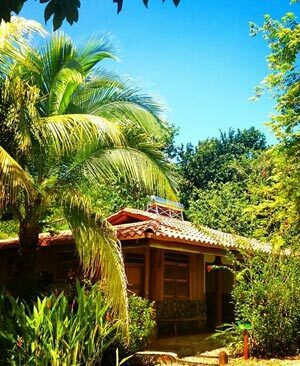 You will find this place an ideal place for enjoying Yoga practice and Spa as it is surrounded by the Quebrada Grande Stream and forest and it is isolated from the modern artificial audio or visual distractions. If you want to experience a memorable wedding ceremony in a beautiful place, you can choose La Cusinga Lodge. This lodge can arrange the ceremony in a natural setting and can also arrange the Catering and Decor for the wedding. It can also offers accommodations for the guests. If you want, the lodge can also arrange a Gourmet Organic Dinner after the ceremony and at the time of having your food, you can also enjoy watching the amazing sunset over the Marine National Park. P.O Box: APDO.533 – 8000.